Earth Systems offers construction materials testing and inspection services for construction projects around the world. For projects under construction, prompt and dependable materials testing and inspection services are a key part to smooth progress. Thus, Earth Systems employs a large, full-time staff of qualified geoprofessional inspectors and geotechnical engineering technicians who are ready and available to respond to special inspection or materials testing requests. We make sure everything is up to code and meets the highest standards so a project can move forward successfully. Earth Systems provides quality assurance for soil, asphalt, concrete, steel, welding, masonry, paint coatings, structural wood and spray-applied fire-proofing. Our geoprofessional technicians and inspectors have a thorough knowledge of current applicable codes and standards related to soils and construction materials. 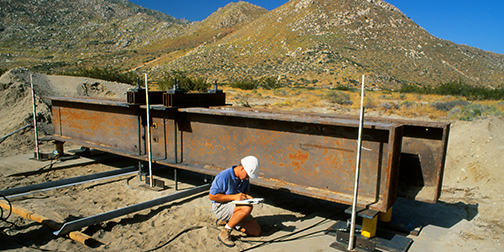 They are certified as appropriate by the International Conference Code (ICC), Caltrans, the National Institute for Certification in Engineering Technologies (NICET), the American Concrete Institute (ACI), the American Welding Society (AWS), the Division of the State Architect (DSA), and many other agencies. Earth Systems also provides mix designs for concrete, masonry and grout; in-place brick shear testing; DR-Meter testing; and non-destructive testing of welds and metals. Our experienced dispatchers are available from 7a.m. to 5 p.m., Monday through Friday, to schedule testing and inspection personnel. They maintain constant communication with inspectors and technicians. Inspections scheduled by 5 p.m. can generally be performed within 24 hours. To expedite communication of test results, our staff leaves reports detailing the progress of the work and services at the site or sends them to the client on a daily basis. Formal reports are provided on a periodic basis within 30 days from the date of the last inspection. 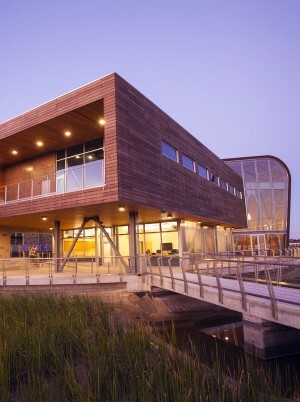 This is a state-of-the-art water recycling facility for the City of Oxnard. It included construction of two high-tech buildings, laying thousands of feet of under pipelines, and reconstructing much of Perkins Avenue after water lines were installed. Earth Systems provided grading observation and compaction testing of subgrade soils, water and utility trench backfill, aggregate base, and asphalt, special inspection of all concrete, masonry, and welding.